Moving. Ugh. Probably the most unpleasant experience anyone can have. It’s stressful, back-breaking, and chaotic. Plus, it’s very time consuming. In fact, most people substantially underestimate how much time they’ll need to make a move, even if it’s just from one neighborhood to another one close by. But, with a few helpful moving day preparation tips, you can make the process smoother. And, you can even put a little money in your pocket to assist with offsetting the cost. As you’re getting organized, take the time to purge as much as possible to lighten the load. And, separate out things which you no longer use that are still in good condition. You should be preparing for the move at least a couple of weeks in advance. This way, you have time to pick out stuff to sell. After all, if you don’t use it but it’s still in useable condition, it’s best to sell it off. Not only will you earn some cash, you’ll have less to move, which will save you both time and money. Consume all frozen and non-perishable foods. This is where too many people go wrong. They’re so focused on furniture, clothing, and personal items, they forget about the pantry, refrigerator, and freezer stuffed full of food. Be sure to eat it all so you don’t have to throw it out. Transfer all your medication prescriptions. You’ll need at least a few days to transfer any prescription medications. And, it order extra in-advance so you don’t run out. Don’t let this go undone for too long. Cancel or transfer subscriptions. 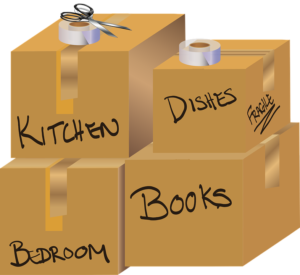 Since you’re moving, you’ll need to change your address with any subscriptions and other monthly services. Be sure to make a list and check it twice so you get all of them. Schedule utility services. Do yourself a favor and schedule the utilities to be turned on at your new address as early as possible and as late as possible at the house you’re leaving. When you’re getting ready for a move and need to purge junk, just phone 800-433-1094 or visit Junk Garbage Removal.